FREE PCR Service – We solve PCR problems! Just ship us your samples and oligos. We can also arrange shipping for 25$. We design everything for you. Tailored to your needs. No need to worry about feasability. Complete and detailed maps provided in Snapgene format, Genbank or Fasta. DNA sequencing is performed at the Plateforme de Séquençage du CHUL in Quebec City. In contrast to other service providers, we provide the bacteria glycerol stocks upon project completion. No need to perform plasmid DNA transformation on reception. Whenever possible, plasmid DNA is maintained in T1-phage and T5-phage resistant competent cells. Discounts and/or free complementary products are offered for large projects or long-term projects. not on building tools to generate results. As customized solutions may require personnalized pricing, we offer you a first look at what our PCR service pricing looks like. Please remember that PCR Service pricing may vary according to your needs and demands. *Entirely FREE service in return of a subsequent product purchase. Protocols are provided with the purchase. DNA exraction not included: 6$ per sample for 48 samples or less. WE NEVER use Whole-Vector Amplification, eliminating all risks of introducing undesired mutations. Je peux désormais, grâce à ton expertise, génotyper mes A2AFlox, mes Ucp1Cre et mes AdipoQCre avec le même mastermix! J’ai besoin de commander de la FastPfu Fly. La Fly est parfaite. Elle va régler tous nos problèmes. Ta Easytaq est malade!!! Il me faut tous les détails de ton protocole et ton # de catalogue pour la Taq ? Je n’ai jamais eu d’aussi belles bandes qu’avec ta EasyTaq! C’est excellent… bien meilleur que ce que j’obtenais. Why is your pricing so low for mouse genotyping by PCR? Other service providers charge 10$ per PCR reaction! Good question. Because we distribute high-quality DNA polymerases and extraction kits from diverse suppliers, this reduces our cost for performing these experiments. As simple as that! What do I need to buy to use your free PCR optimization service? Our PCR optimization service is free. Upon reception of our results we will show you the successful results and the PCR setup recipe but not the cycling protocol. The logical next step however is for you to repeat our experiment. To do such a thing you will likely have to purchase one of our DNA polymerases. DNA polymerases pricing starts at 30$. 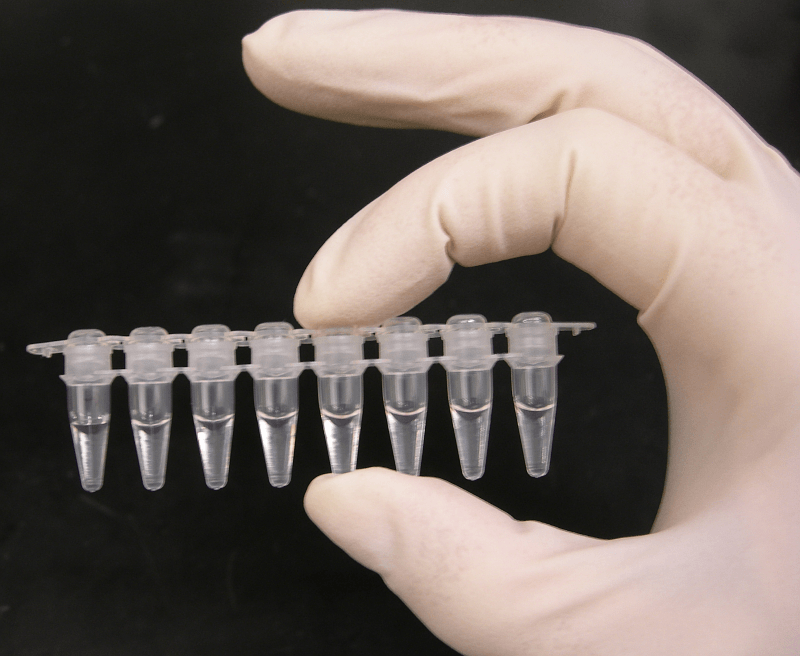 Can you clone or perform site-directed mutagenesis on GC- or AT-rich templates? As we have many DNA polymerases to choose from, the likelyhood of being successful at amplifying GC- or AT-rich templates is high. However, some templates may be more problematic and may require a longer lead time. So far we have achieved 80% and 27% GC content amplifications. Such projects may be subjected to different pricing. If we are not successful, we give you your money back. What fragment size can you clone? We can achieve cloning of basically any cDNA < 10 kb. As difficulty increases and sequencing costs increase for cloning of DNA fragments > 1.5 kb, our pricing will also increase for this type of cloning service. Please request a quote. If we didn’t answer all of your questions, feel free to drop us a line anytime about our PCR Service or anything else!